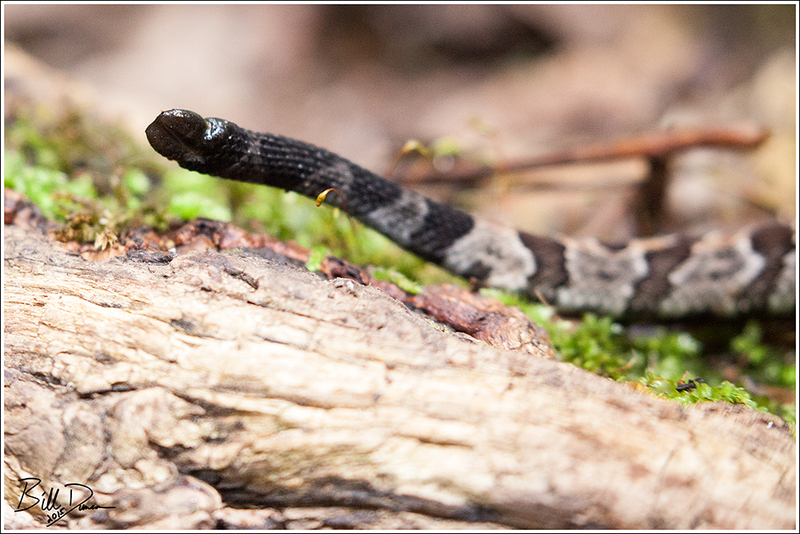 A recently born Timber Rattlesnake was “found” by Steve during an outing we had in Cape Girardeau County. 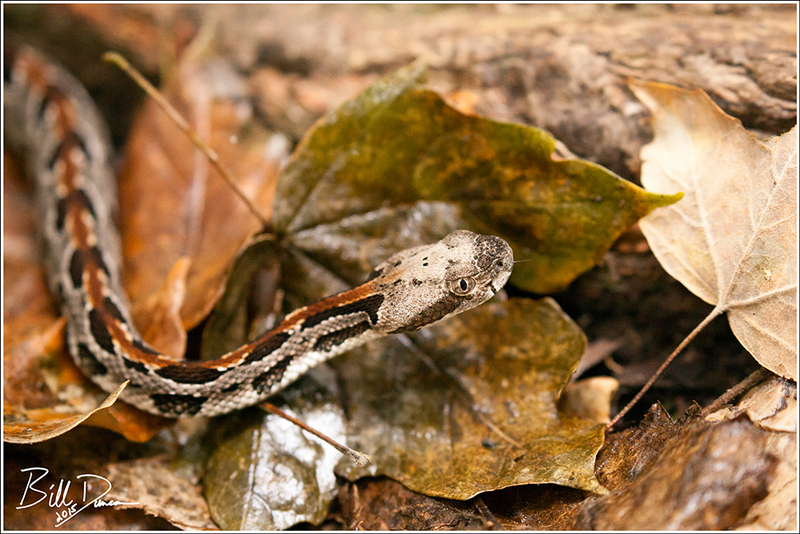 Rattlesnakes are ovoviviparous, and young are usually born in September or October. This little one was not long out of mom when we came across it. 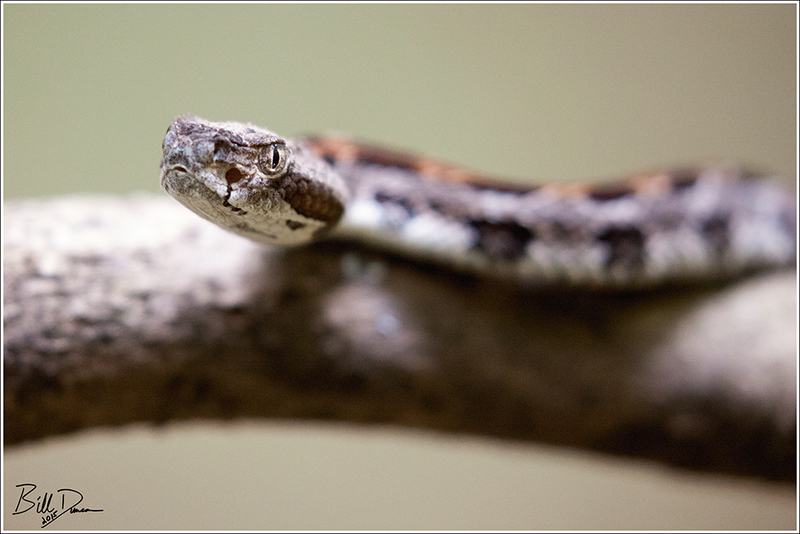 In the photo above the heat sensing pits that give pit vipers their name are easily seen. Finally, the little nubbin of a rattle that these guys are born with. Typically, rattlesnakes will add a rattle every time they shed their skin, which this guy has not done yet. 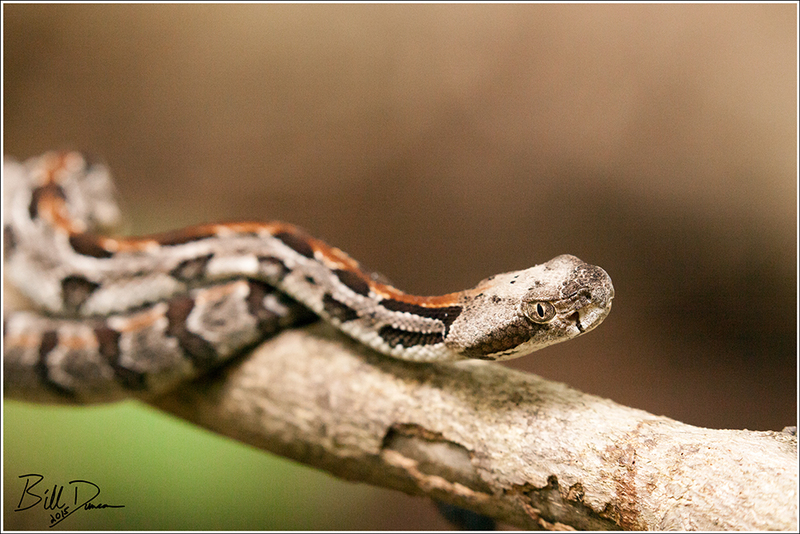 Beautiful shot of the Timber Rattlesnake.